Are you considering remodeling your McMinnville Home? Uncertain where to get started? Give Steve’s Home Improvement a call at (503) 342-8234 and we can help you with every stage of your project. For a lot of people, remodeling is a tactical move that is meant to maximize the value of their home so they get more money when they sell their home. The latest trend is for larger remodeling budgets as homeowners recognize the opportunity to improve their roi when they sell their home. It shouldn’t be surprising that homes with out-of-date bath and kitchens are much more difficult to sell and can remain on the market for a very long time. However, selling is not the only reason for home upgrades. When faced with the undertaking of shopping for another home, many homeowners recognize that remodeling their present home may be a more practical alternative. This might have to do with the recession, whose consequences will continue to be experienced for a while. Just the time you save and anxiety you avoid by remaining in your present home can make it a better decision in the end. When you upgrade your home you get to make it exactly the way you want as opposed to trying to find what you want somewhere else. It truly is a much less upsetting situation, and has a tendency to lead to more satisfaction. If you have a growing family, your home has to expand with it. That is when remodeling is required. It may be something as simple as requiring more closet space, or trying to find the best format to use the space you have now. After the kids move away empty nesters often decide to repurpose their kids rooms. With all the rebates and tax incentives, eco-friendly remodeling is also a new trend. It allows you to increase the value of your home while saving money on energy bills and reducing your impact on your environment. You love your home and location. For some reason or another you just need more room, or a better use of space. Making extensive home improvements, such as adding an extra room or garage, could make a huge difference in how much you enjoy your home and in its appeal, as well. By combining your ideas with our expertise and innovation, we will produce an end-product that will fulfill your practical requirements and your aesthetic goals, too. We guarantee each homeowner the highest level of quality, integrity, and commitment available in the residential design-build industry today. That level of dedication is maintained by our professional staff – which is determined to help you meet every need during your renovation project. An obsolete kitchen can negatively impact the perceived value of a home, not to mention decreasing its functionality. The effectiveness with which you use your kitchen space is always worth taking into consideration. The best kitchens are the most functional, and this will be affected by particulars such as the location of your fridge or the shape and size of your counter. For whatever reason the importance of kitchen lighting can sometimes be disregarded. If you are not getting enough light you might consider moving the windows to allow more sunlight. Remodeling your kitchen would also be recommended if you have kids or are in the process of extending your family. Don’t forget that outdated kitchen designs and appliances may be unsafe for young children. An open plan kitchen would also be a suitable option if you enjoy entertaining, allowing for greater interactions between rooms. You may also want to renovate your kitchen as you get older to make it safer for you and others. When talking with real estate agents they will all acknowledge that out of every room in the house the kitchen makes the biggest impact on home buying decisions. This means that a gorgeous kitchen is likely to be the difference between a quick sale and a home that remains on the market. If you decide to redesign your kitchen step one is to make a list of all the things that you want to fix, and their priority as well. If you cannot change everything you want to, it is important to prioritize and decide what among your wants and needs is most important. 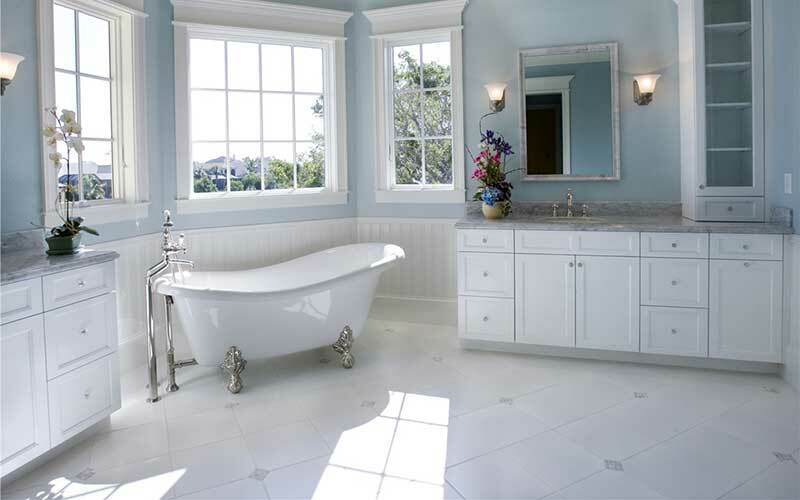 Since more homeowners are living in their homes longer, bathroom upgrading is becoming more common simply because problems arise that eventually need repairing. Most people begin their day in their bathroom, and staring at the same cracked tiles every morning is far from ideal. Not to mention that bathroom fittings can leak or break and in time lead to much more costly issues. Water damage can be an expensive issue, and mold can lead to serious medical problems. Having a modernized, recently remodeled bathroom can positively influence a potential buyers decision when viewing your home. Just like with kitchens, renovating your bathroom can be considered an investment that will help your home close more quickly at a higher price. However, many people today renovate their bathrooms merely to change its current look or create their own personal escape. When you want to unwind from a hectic day a custom built shower or bath tub can have a huge impact on your ability to relax. If you are lucky enough to have a basement in your home, that suggests you have quite a bit of unfinished real estate at your fingertips, and you should make the most of it. 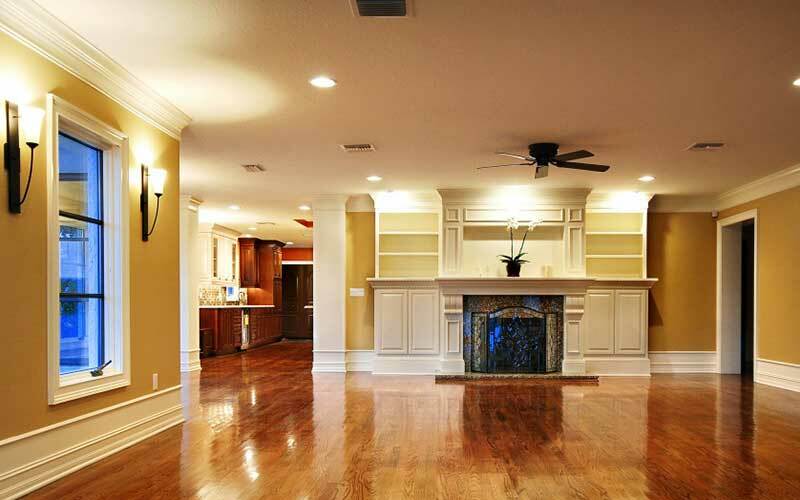 Basement finishing actually ranks right up there with bathroom and kitchen remodeling in improving your home’s resale value in addition to making it more enticing to prospective buyers. A basement offers both functional and creative uses. The choices to utilize the space are almost infinite. We can help you choose the best use of space. Since the space already exists, you might as well put it to use instead of wasting it. The reason many people leave their basement unfinished is that the process can be complicated. When you remodel a basement you have to consider electrical, plumbing, HVAC, drywall installation, and even flooring. This is why, when it comes to basement makeovers as with all major remodeling projects that you should only work with trustworthy remodeling contractors. Even so, this is one of the best kept secrets in space expansion and results in significant benefits from a financial perspective as well as enhancing your quality of living. When upgrading your kitchen or bathroom, you should consider the elements that will give you the greatest value for your money. Your countertops are one such element, and the best part is that they come in as many colors, materials and finishes as you can envision. 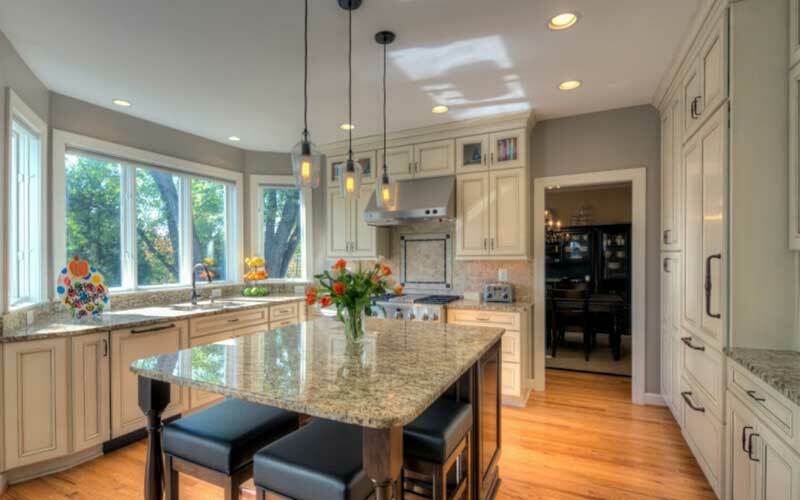 Some of the most popular countertop options that you could go for include granite, glass, butcher block, wood, cambria, marble, corian, concrete, laminate and soapstone. You can make your countertop choice much less difficult by considering a number of elements, including durability, clean-up and maintenance. Having said that, you have to balance the performance of your countertops with visual appeals. Your countertops have to fit into the general design style of your home. Once you have found the perfect balance between function and form, your ultimate decision is in regards to your renovation budget. For instance, we can all agree that marble countertops are simply breathtaking. However, because of the premium cost they may not fit into every renovation budget. Granite is a close second, while concrete and wood offer much more budget friendly yet naturally handsome alternatives. No matter which area of your home you want to remodel, it is important to work with licensed contractors. You need a fully bonded & licensed contractor. Not only will they ensure that you get the more value for your investment, but you will have peace of mind. As professional contractors with years of experience we will help you with all aspects of your renovation job, from design to implementation. If you have a remodeling project in mind, Steve’s Home Improvement is available to take care of all elements from design to execution. We proudly serve McMinnville and the surrounding community. 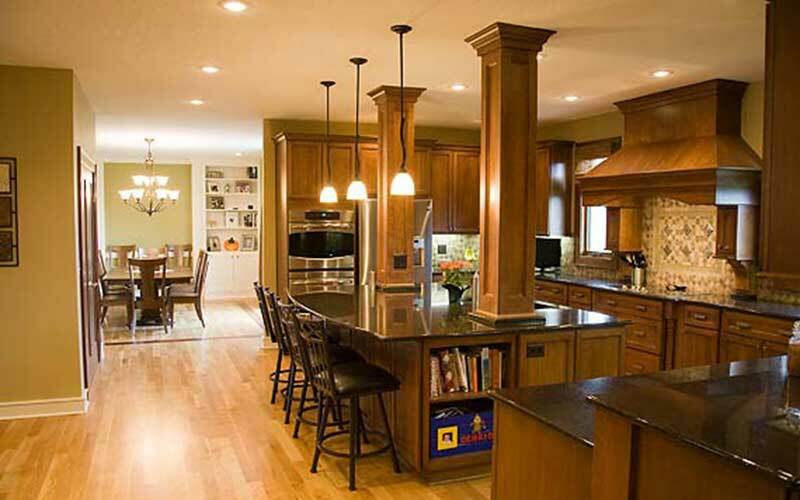 We have a verified track record of successfully finishing all sizes of remodeling jobs on time and within budget. If you need help at any point along the way we have the knowledge and expertise to point you in the right direction and ensure that you are satisfied. 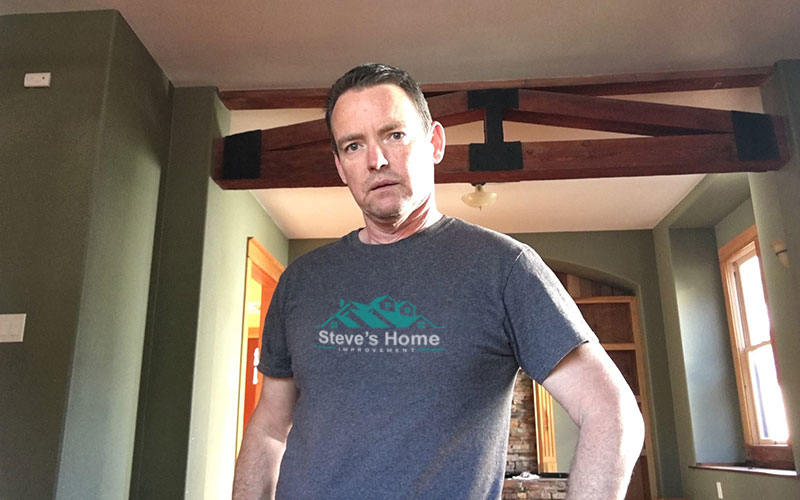 Contact Steve’s Home Improvement at (503) 342-8234 for all of your McMinnville home renovation needs.